Lovely photos Deb, and it looks as if you are ready for the holidays!Have a great day! I love that shot of your son while getting the tree! I saw that shot of those lights on your Instagram last night- they are so pretty. Is that your house- or were you out driving around?! They are GORGEOUS! Great pictures - love your first one of your son with the headphones in. My youngest always has her music on whereever she goes. They are all so lovely. My favorite would be the action shot. 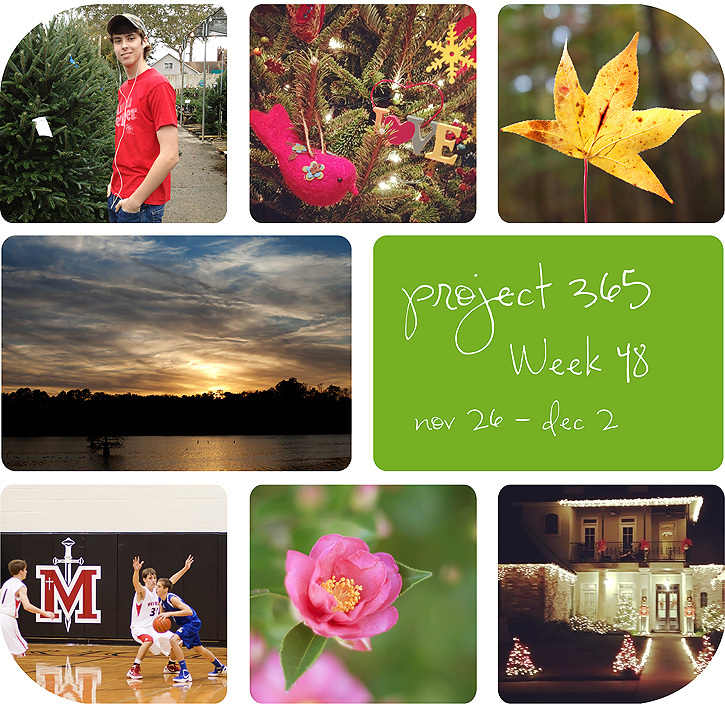 I have a link up for weekly photos and I would really love it if you could join. This week I'm giving away a free copy of the My Memories Digital Scrapbooking software for the first participant. I hope to see you there. Your set really mark the season; somewhere between autumn and winter. I love the shot of the tree and wishing I was that far along. I love your Christmas lights. Your house is beautiful. Gorgeous Christmas house on the house. Another lovely collage for the week. Great snapshots! Love the lights, so pretty. Thanks for stopping by my place. Have a great day! Love, love, love. They are all gorgeous shots. Seriously can't pick a favorite. Love the Christmas lights. Your house? Your house is so pretty all decked out! What a lovely diverse week you have had! I love the way you collage your week, it must be so wonderful to look back on! The "lights" shot is spectacular, Deb...wow! What a beautiful glimpse of your week. I feel like I'm peeking in on something spectacular!